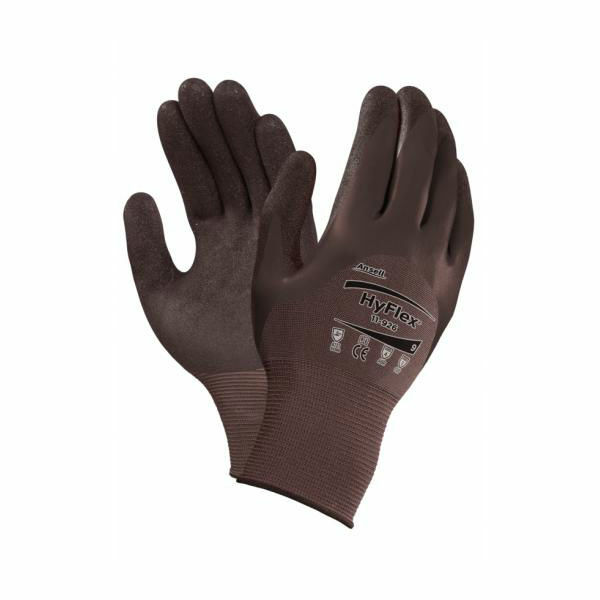 In combining a 3/4 nitrile dip, oil repellence, and an oil grip, the Ansell HyFlex 11-926 Lightweight 3/4 Coated Oil-Repellent Gloves manage to ensure outstanding grip in oily environments, while protecting hands from contamination. Flexibility and dexterity ensure ease of use, while a seamless design increases comfort. Designed for periods of extended use, the Ansell HyFlex 11-926 Gloves perform excellently in applications such as fabrication and engineering. The Ansell 11-926 Oil-Repellent Gloves are available in six sizes that should suit the hands of most users. Please measure the circumference of your hand around the knuckles (excluding the thumb) with your hand open and your fingers together, and the length of your hand from the tip of your middle finger to your wrist.